Over that past few weeks we discussed how to find keywords, craft content and even build links to your website. SEO is an undeniably powerful marketing strategy that can deliver an incredible ROI and it should definitely be part of your marketing strategy. That being said, the saying “don’t put all your eggs in one basket” applies to marketing your business as well. Like SEO, inbound marketing is a solid strategy if you expect a return on your investment. Online marketing channels allow for detailed tracking of lead sources and make the funnel process one that can continually be monitored and improved. With that being said, let’s take a look at what inbound marketing entails and how you can incorporate it into your daily marketing plan. Inbound marketing fills the needs of consumers during the educational phase of the buying process in order to build brand awareness and establish yourself as the “go-to” resource in your industry. This is combined with social outreach to continue engagement and nurture leads from the research stage all the way through post-sale education. This is accomplished through SEO, content marketing, social media, and various other forms of reaching out to potential customers when and where they are looking for your product or services. Those of you who followed along over the past few weeks and have implemented SEO into your marketing strategy have already gotten started! For those of you who are not embracing SEO, there are other ways to dip your feet in the water with inbound marketing. Here are some ideas. Content marketing is made out to be the replacement for SEO but in actuality, it is a portion of a good SEO strategy. Even if ranking higher in organic search is not on your list of goals, getting more people to your website better be. Content marketing is a great way for even non-tech savvy people to promote themselves online. Here are just a few types of content you could create to market your business. Figuring out what to create content about does not need to be a pain point either. All you need to do is think about the most common questions you get asked, problems you run across, or you can even look at common industrywide questions and provide unique insight into those issues. Getting started can be as simple as creating an in-depth FAQ page on your website or answering questions being asked by others. If writing and promoting an e-book download requires a bit more time than you have, you can still take advantage of inbound marketing. Participating on Q and A sites is a great way to quickly and easily put your business in front of your target audience. Just choose a few popular forums, blogs or Q&A sites in your niche and spend a few minutes each day answering questions, citing information on your website for further reading. For a while, some businesses where good a good fit for social media while others were not. Moving into the future, every business should be taking advantage of social media. Contrary to what many will tell you, do not try to be everywhere, instead, focus on a few sites that can best highlight your products or services and really focus on building a strong following. 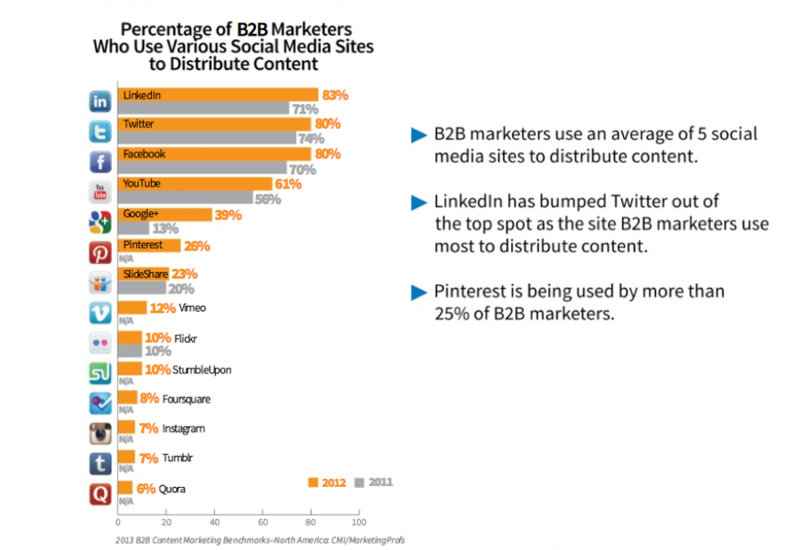 Here are some of the best sites to use for B2B social marketing. 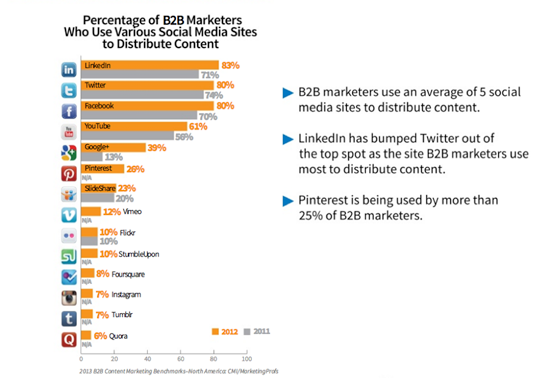 For those of you doing B2C advertising, Facebook is the most effective site still according to a recent survey by the Social Media Examiner. Your exact niche and offerings will determine which platforms work best for your business so do some research of your own before committing. After you have built a strong following on a few sites then you can branch out to other sites. Remember, when you are building your audience, focus on building engaged followers, not just a large number of followers. Regardless of which method you decide to use to get started, inbound marketing should definitely become part of your tool kit for 2015. Author Bio: Travis Bliffen is the founder of Stellar SEO, a search marketing and design agency located near St. Louis, Mo. Travis loves researching and writing about SEO strategies and implementing innovative strategies for his clients. Connect on Twitter @theseoproz.